Indra Nooyi is stepping down as CEO of PepsiCo after 12 years at the helm, but the business leader – recognized as one of the most powerful women in the world – is confident the food and beverage company is “moving in the right direction”. Friend and president of Pepsi, Ramon Laguarta, will succeed her. “Ramon Laguarta is exactly the right person to help build on PepsiCo’s strong position and success,” she said, counting on Laguarta to take the company to “new and greater heights”. Analysts are hoping Laguarta continues Nooyi’s vision for Pepsi, whose shares have increased in value 78% and whose global revenue surged from US$35bn in 2006, when she became CEO, to US$63.7bn in 2017. But Nooyi’s distinction even as one of only a handful of female CEOs to break the glass ceiling of the Fortune 50 revolves around her own brand of leadership dubbed Performance with Purpose. HR experts believe this is her secret to a successful run as CEO. The threefold mission of Performance with Purpose includes developing better food options, protecting the environment, and empowering people. Pepsi has scored big wins under Nooyi’s leadership by offering snacks to the health-conscious and helping potato farmers cut down their water consumption by half. In leading a people-centred company, Nooyi has also been known to write letters to the parents of Pepsi employees to show her appreciation for her team and their families. 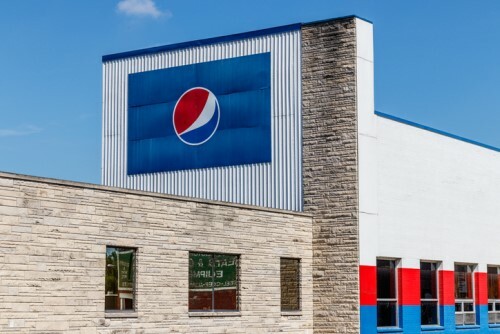 “We want to create an environment in PepsiCo where every employee can bring their whole self to work and not just make a living but also have a life,” she told Fast Company in 2017.